Published: May 1, 2015 at 10:42 p.m. 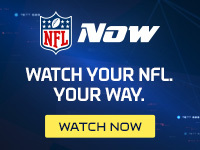 Updated: May 4, 2015 at 03:56 p.m.
CHICAGO -- The New Orleans Saints might have identified Drew Brees' eventual successor. With the No. 75 overall pick in the 2015 NFL Draft, the Saints selected Garrett Grayson. The 6-foot-2 Grayson started the past two seasons at Colorado State. During his senior season, the quarterback compiled 4,006 yards on 64.3 percent passing with 32 touchdowns to just seven interceptions. Grayson was the first quarterback off the board since the Tennessee Titans nabbed Marcus Mariota No. 2 overall. It is the highest the Saints have drafted a quarterback since selecting Archie Manning No. 2 overall in 1971. The 23-year-old played in a system in college that relied heavily on his ability to read, adjust to coverages and make checks, an asset scouts valued when assessing Grayson's ability to comprehend and adjust to a pro playbook. Grayson displayed good touch on his deep ball in 2014, something coach Sean Payton clearly values in his passers. He also deploys a deft ability to get the ball out under duress. While a solid athlete, Grayson did suffer through injury during college. One scout told the Milwaukee Journal Sentinel that the quarterback compared to Ryan Fitzpatrick and Jon Kitna -- and projected better than Matt Flynn. Grayson will compete with Ryan Griffin and veteran Luke McCown for a backup role. Brees isn't finished yet, but the Saints needed an eventual contingency plan and targeted a quarterback this season. Now Payton has a few years to build Grayson into the type of quarterback that will make it an easy transition when Brees decides to hand off the torch.